Marketing your Musikgarten with Out-of-the-box ideas! Marketing your Musikgarten classes can be a challenge and sometimes it gets difficult coming up with new, out of the box ideas to try. Sometimes the best person to talk to is another Musikgarten teacher and the Gartenloop is good place to start. One teacher, Nancy Kubo was graciously willing to share some of her ideas on the forum and agreed to let us reprint a few of them. Here is Nancy in her own words. I have had a long-running studio program in Seattle with Lorna’s curricula for 30 years now and have a steady enrollment of 170-200 students every year. I have seen the enrollment rise and fall with economic conditions, with the arrival of competitive programs, and with the ups and downs of the birth rate. And advertising methods certainly evolved over the years with the arrival of the Internet. I’m doing less and less on the internet the last few years, except for presence in three different online parent publication directories. My toddler enrollment in recent years was cut in half due to competition with not only other music programs but also the vast array of activities now available to toddlers. 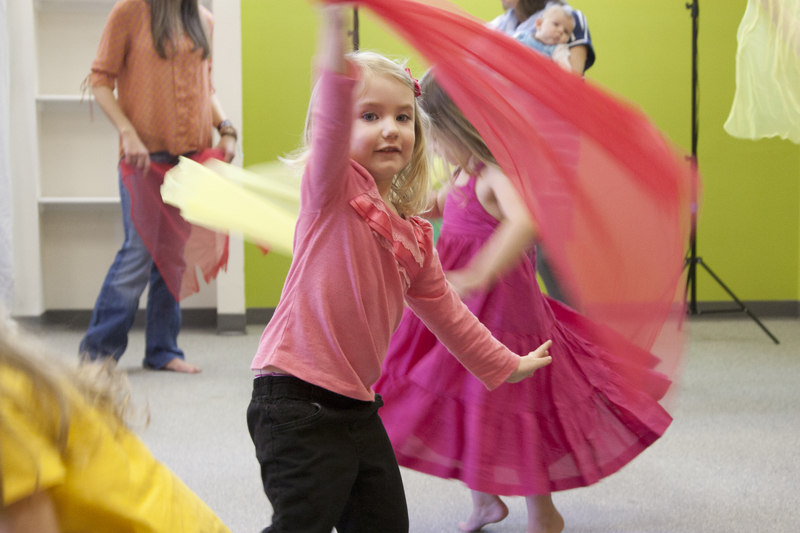 My current strategy is to imprint the “Musikgarten” name on every parent’s mind in Seattle, so that when they think of toddler activity, or specifically music classes, they think of Musikgarten, just like when you think of tissue you think of “Kleenex”. 1. Yard signs – I use the ones the Musikgarten makes. I got brave and put out 24 signs all around my area of Seattle. I’m kind of shy about it and it’s taken me forever to figure out where they can go without being removed. But now I don’t care, even if they do get removed a week or two later, I got my two weeks of exposure of the name. It only says Musikgarten — I don’t add my phone, and I cut off the musikgarten.org part because I’d rather a parent just Google Musikgarten and my website will come up. OK, where do I put the yard signs: they have to go in dirt/grass. Can’t put at a library, they’ll remove it right away because they can’t support a for-profit business. I do put them at playground corners, even though I shouldn’t, and just hope they stay as long as possible. Also intersections, medians and little traffic circles, but if they are really manicured; I don’t, because some nearby resident probably maintains it. I look for more neglected, grown over spots, which tells me nobody cares too much. And usually I place at an intersection where drivers have to stop. If they get removed, they are gone. I do not and retrieve the yard signs. 2) Auction fundraisers – I donate a $200 certificate to about 40 schools every year. Probably less than one third actually get used, but 100s of parents (1000s?) saw my little display and brochure on the auction table when they passed by it at the auction. Each contribution probably costs me about $4 or $5 for the photo printout and brochure and postage. The reason I make it a $200 certificate is the parent can jump in anytime during the year for Babies, Toddlers, or Cycles and I don’t expect people to start at the very beginning of a term. This is also a studio grower. The auction organizers want a “value” stated and those three different age groups are different price points for a full term. If they join half way, then it carries over into the next term. But I really don’t give too much attention to all that, of course I’m glad to get certificate redeemers because they usually become steady families. My main reason for doing the auctions is the exposure at the silent auction table. I actually searched on the internet for every private and public school, and preschool in Seattle. Then went to their website to see if they do an auction and asked for the procurement form. I now participate in over 40 auctions. I know $200 is a lot, but I want them to come for at least 12 weeks, to get the feel. 3) Sports – I almost forgot to mention sports! 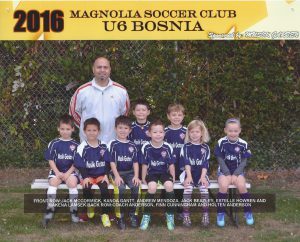 I am now a baseball and soccer sponsor! Ugh! If you can’t beat them, join them! So all summer a huge Musikgarten banner hung in two different fields for baseball. Now two banners will hang on two soccer fields and “Musikgarten” will be on one team’s jerseys. These strategies are ones that my competitors would never do, and therefore really give me an edge over them. Well that’s my recent experience. And guess what, the toddlers are back! Out-of-the-box ideas do not work for everyone’s situation. For some areas the marketing tactic that works is heavy internet marketing through Google or Facebook and for other areas a more grass roots effort is a key component. Do you have out-of-the-box marketing ideas? Share them on this blog or on Gartenloop. For information on the Gartenloop contact Denise at event@musikgarten.org. 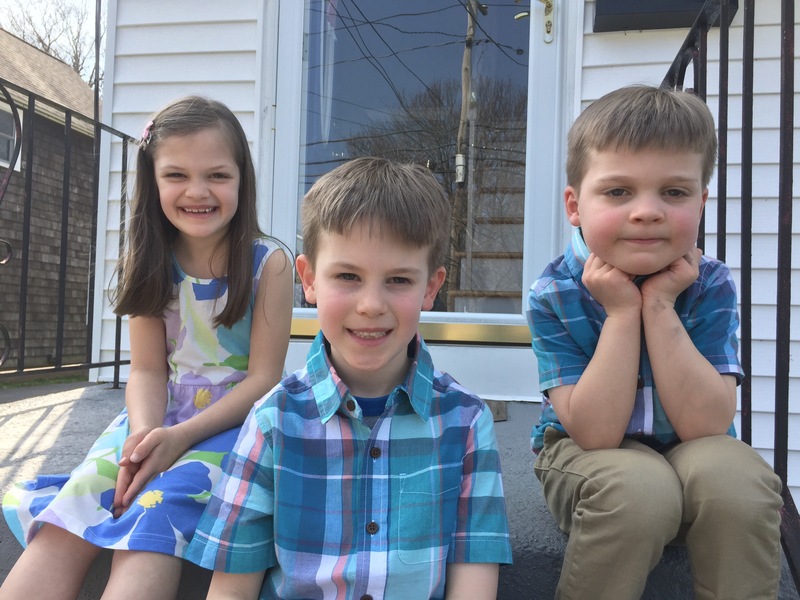 What works and doesn’t work when marketing your Musikgarten classes? I need to face a fundamental fact about myself. Although I have been teaching my classes for over twenty years, my weakest skill is marketing my program. Like most teachers, I love teaching, but shudder at the thought of putting myself and my studio out there. Often after dutifully sending out marketing material I throw up my hands and pray for three more students, just three more students. Here is the good news and the bad news. You will become a better teacher over time and marketing doesn’t get easier. So what works and what doesn’t work for my studio business? First let’s get the “doesn’t work” out of the way. Doing nothing or wringing my hands and hoping my classes fill up with registrations on their own doesn’t work. I have learned that to market my classes I needed to step out of my studio and actually tell others about what I do and when I do it. Website: I use the website offered by Musikgarten through AW Technology (makingmusik.com).This service is easy to use, only $14.95 a month, has a modern look, and is mobile device friendly. This is the single most important marketing tool in my box. Word of Mouth: Creating relationship with my families is very important to me and research shows this will fill your classes more than any other tool. If parents like me and like what I offer there is a good chance they are going to tell their friends about my studio. I highly recommend listening to a podcast produced by Michael Hyatt called,”Do you Want to Wow your Customers”. I found myself rethinking how I greet my clients as they enter my studio, and how I communicate to them through emails and on the phone. This podcast has a lot of relevance to how we can grow your business by making it the most awesome music studio in your community. Brochures: Whether you use the brochures produced by Musikgarten for licensed teachers or create your own, brochures are very valuable. Having this valuable tool in your purse, bag, by your studio door or in your glove compartment is essential. One way I use a brochure is to introduce myself to teachers in local schools. This may sound like cold calling but you need to start somewhere. Most parents will ask their public school teachers for a good “piano teacher” who will teach their three year old. Guess who they will refer if they have your name in their contacts? Print ads in your local paper, magazines, or journals: As I mentioned earlier, every area is different. I personally have not had good luck with these, but that does not mean you should not consider or investigate these as an option in your area. Print ads can be expensive, but they may come with some combination of digital ads. You could also consider Musikgarten’s co-op advertising. If you have three or more teachers in your area, advertise together and Musikgarten will partner with you, evenly splitting the cost of the ad between all parties. Contact Bunny at bgodfrey@musikgarten.org for details. Note: A lot of local papers have event sections for kids that you can be listed in for free. Submit a description, class times and contact info of your program in this section. Online parent sites: There are many of these sites to explore. It helps to ask families around town what they use to find their activities and that can be an eye opener. Do some research and choose what fits. 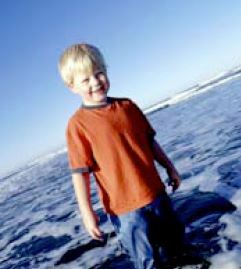 Other online sites like Macaroni Kid may be an option for you in your community. Network and post on Facebook pages that cater to parents in your community. Flyers: I still run around town putting these up and I feel so good afterwards, but I will admit I know I do not get more than maybe one or two calls per year. 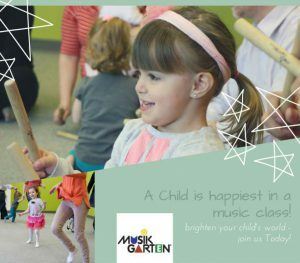 Musikgarten has pre-made flyers that you can easily customize to your studio on the Teacher Extranet. If you want to create your own flyer, I recommend Canva.com. You can use the wonderful pictures and Musikgarten logo available to licensed Musikgarten teachers on the Teacher Extranet and create a professional looking flyer that tells parents what they need to know. Social Media: I do have a Facebook page for my business, but I follow many other Musikgarten studios that consistently update and advertise via Facebook and I have to admit that I suffer from Facebook envy. Check out The Music Garden, LLC. Keeping content updated is key. You can reference blog posts, promote your classes, share Musikgarten posts from their corporate page or from other sources, and create simple ads. Here is a sample of a quick ad I created for my Facebook page in less than 15 minutes; not perfect, but helps demonstrate what you can create in a small amount of time. An added bonus is that you can add a website link and email this to inquiries as a reminder to sign up for the fall, you can also post this to your Instagram and Twitter account and add it to a flyer with your contact information. Demo Classes: As a veteran teacher I realize this was an important step early on, which brought me good exposure. I offered these classes in my studio and at my local libraries. It gave me a chance to practice my skills on the unsuspected. It also gave me a chance to hand out those nifty licensee brochures mentioned earlier. For other ideas, check out this blog post from March 2015. Please know it takes time and patience to bring families to your studio. Also remember that different communities require different combinations of tactics to reach your audience. After you have chosen your tactics, how can you know which ones work best? I have created an inquiry list that includes the question, “How did you hear about me”. Start collecting this data when the phone rings. This will give you the best barometer for the most effective tools in your marketing toolbox. Whatever tools you choose remember that you need to assess time and effort versus return. 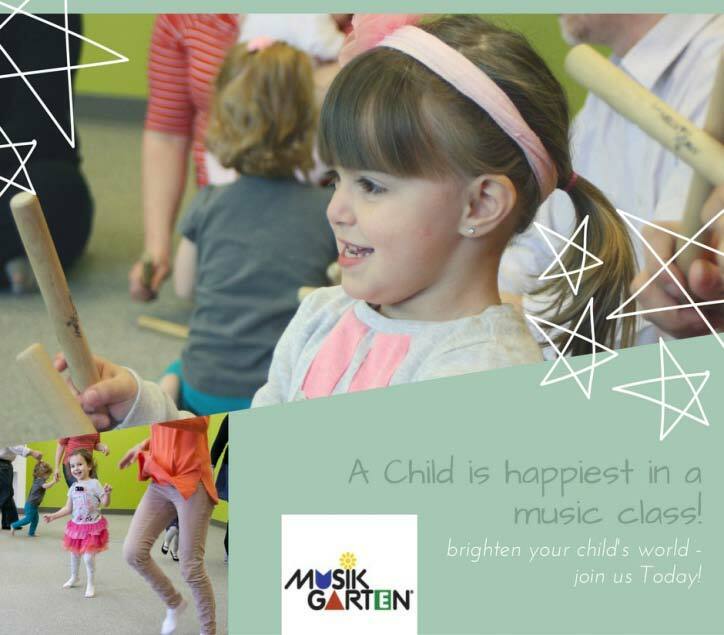 Tell us how you have grown your Musikgarten studio!